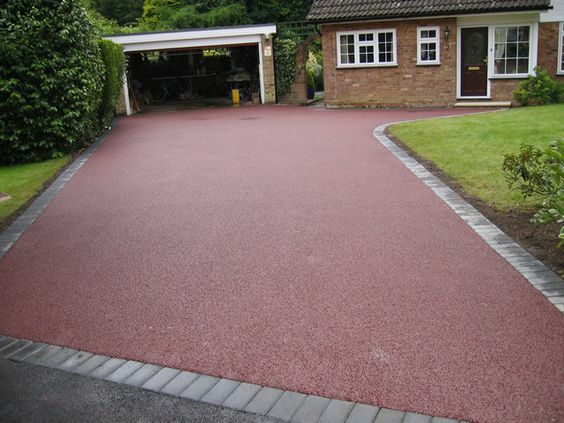 Tarmac driveways are growing in popularity in the UK due to affordable prices and quick installations. Tarmac is durable and is prominently used for roads across the world. In more recent years, coloured tarmac varieties have started to increase in prominence, allowing homeowners to choose a more aesthetically pleasing tarmac drive. 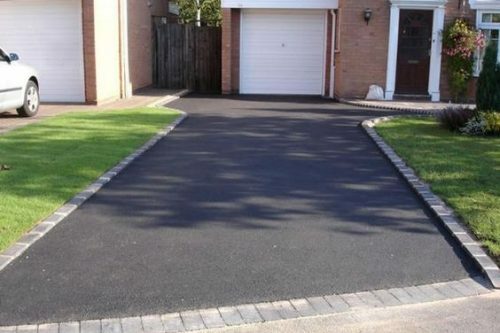 Tarmac drives are amongst the most popular type of driveway chosen by UK homeowners. And for good reason! 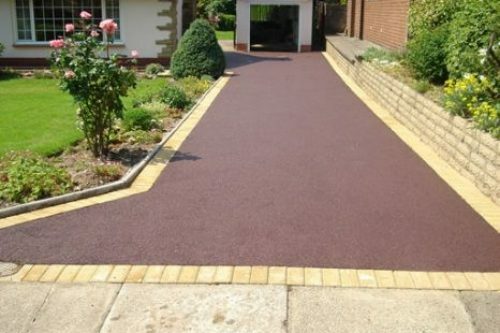 Not only do they provide great value for money, but tarmac driveways are also long lasting and hard wearing. Once installed, tarmac driveways require minimal ongoing maintenance, so you can spend more time doing the things you enjoy. In this guide, we will explore everything you need to know about tarmac driveways. There is information on tarmac prices, types and you can even check how much local installation will cost you. Are you looking to install or maintain a tarmac drive? We can help you find a great deal by comparing local installation prices. To find out how much tarmac driveway installation costs in your area, simply use the cost calculator below. By comparing prices, or requesting a quote, you help us raise £1.50 for an amazing charity. There is no cost to you, and there is no obligation to proceed. So, what are you waiting for? Find out how much tarmac driveways cost in your area. Complexity – Are there drains and drain covers that need to be considered? Is your driveway on an incline? Will you need excavation work? Do you want a block paved edging around your tarmac drive? Factors, such as these, can increase the complexity of your driveway installation, and consequently increase prices. Size – as you might have guessed, the size of your driveway will directly impact the cost of your installation. As larger jobs require more materials and take longer to install, the price will be higher compared to smaller driveways. Whilst the overall project price will increase, the cost per square metre will decrease for larger driveways. Location – similar to most home improvement projects, the cost of installing a tarmac driveway differs throughout the UK. Generally, prices will be higher (as much as double) in London and the South of England compared to the installation prices found in other regions of the country. Areas that lack local installers will also result in higher installation costs. Preparation – it is important to consider any preparation and building work that may be required as part of your tarmac driveway installation. For example, does your current driveway need to be removed? Dropping the Kerb – If you do not currently have a dropped kerb out the front of your property, you will need to consider the cost of having the kerb dropped. Most councils provide kerb dropping services, and prices typically range from £300 to £1,000. The cost of a tarmac drive installation normally ranges from £45 to £60 per square metre. If you require a larger driveway, the tarmac price per square metre should be cheaper. 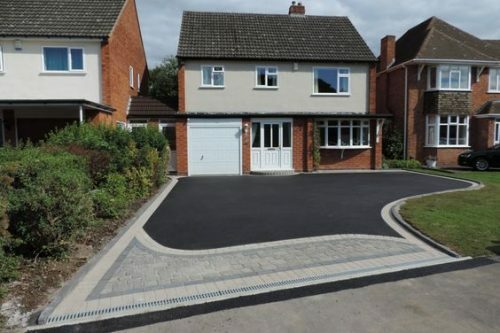 When calculating costs, it is important to consider the price of removing your current driveway, dropping your kerb and the complexity of your install. 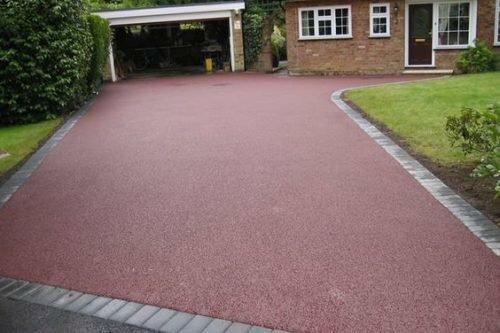 In some cases, you can save on the cost of your driveway install with tarmac relayering, rather than a completely new installation. This process doesn’t require as much preparation work, so reduces the installation cost. Tarmac relayering is explained in more detail below. Tarmac paths and walkways are cheaper than driveways, as less preparation work is required and they use a thinner layer of tarmac. For a basic tarmac pathway, the price will generally range from £20 to £45 per square metre. Due to the specialist tools required, we generally recommend leaving tarmac and asphalt driveway installations to the professionals. Check Tarmac Driveway Prices from Local Installers! An alternative to a complete tarmac drive install is to re-lay tarmac over your current drive. This technique is not always possible, but can reduce the cost of laying a new tarmac driveway or path. We recommend speaking with your local tarmac installer to work out the most suitable solution for your property. Tarmac and asphalt – are they the same thing, or are there differences? If you have been researching tarmac drives, you have most likely seen asphalt driveways mentioned. Whilst they are very similar products, there are subtle differences between asphalt and tarmac. The main difference is that tarmac contains tar, whereas asphalt contains bitumen as the binding agent. As a result, asphalt is also commonly referred to as bitmac. Nowadays, asphalt is the more commonly used materials for roads, car parks and driveways. As such, if you have a ‘tarmac driveway’ installed, the driveway will most likely be made of asphalt. 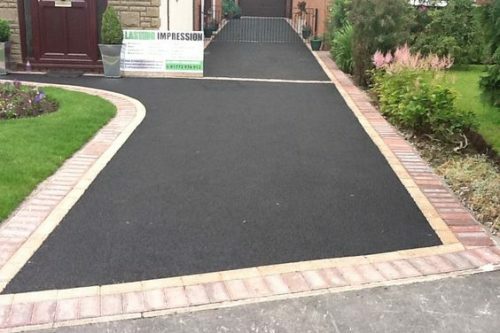 With prices from £45 per square metre, and a proven track record of providing a hard wearing drive for consumers, it is no surprise that tarmac is one of the most popular materials used in new driveway installations. Below is some useful information to give you an understanding of the process of laying a tarmac drive. Excavation or removal or your current driveway. Edging installation to keep the tarmac in place and prevent cracking. Timber and concrete are often used, but block paving can also be used to create a nicer finished effect. Installation of a woven membrane, which prevents weed growth and strengthens the tarmac by preventing any sinking. Crushed concrete is then layered on top of the membrane. It is compressed and rolled until the required depth is achieved. If drainage is required, this will now be installed. The tarmac will now be added. The base coat should be approximately 2 inches thick, with an additional top coat added. The tarmac is then rolled and compacted to achieve a smooth and durable finish. How long does it take to install a tarmac drive? 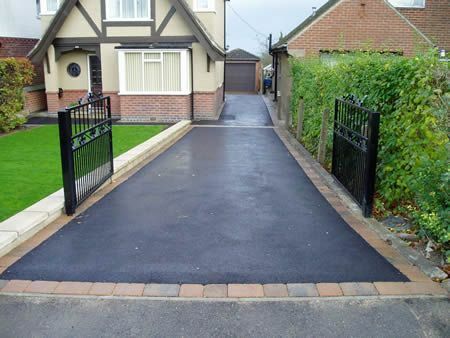 Tarmac driveways typically take from 1 to 2 days to install. If your current driveway needs to be removed, this can add to the installation time. The installation requires preparation work, including the erecting of wooden edges and laying of the base, before the tarmac can be laid. If you are having block paved edges, this can also slightly increase the project length. Due to the reduced preparation work, tarmac re-layering is significantly faster than a complete tarmac installation. In many cases, tarmac re-layering can be completed within a few hours. How long do tarmac driveways last? 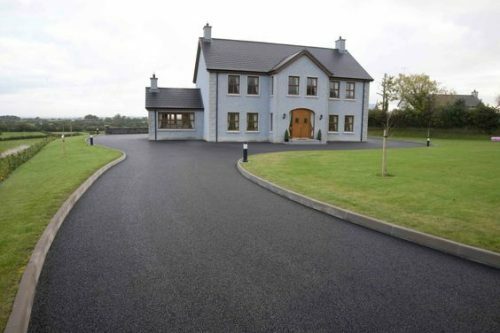 A professionally installed and well maintained tarmac driveway should last more than 15 years. Asphalt is extremely hard wearing and will last a considerable time when used on driveways and paths. Looking for Local Tarmac Driveway Installers? When many people think of asphalt, they think of plain black roads. 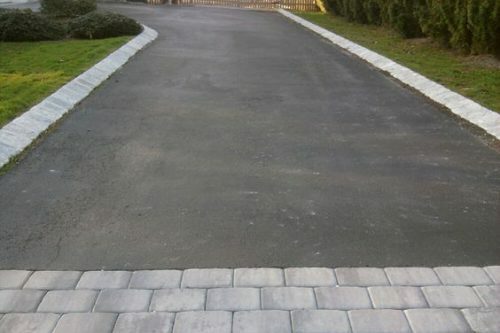 However, tarmac driveways can be finished in a number of different ways to create a modern and attractive drive. Below are a few popular asphalt driveway ideas. Integrating block paving into your tarmac driveway is a great way of improving the look and design. The most common use of block pavers is as a surrounding border along the edges of the drive. Pavers can also be used to create an attractive centrepiece in the middle of the driveway. You can see some more examples of how block paving and tarmac are used together in our driveway ideas and gallery section below. Block paving costs more than tarmac, so the more block paving you choose to integrate, the more expensive your driveway installation will be. If black asphalt isn’t for you, why not try coloured tarmac. 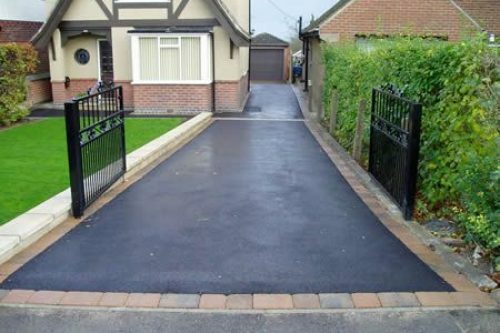 Adding some colour can completely change the look of your drive, and will also help prevent the washed out grey appearance found on many older tarmacked roads and driveways. What colours are available? The binding agent used is important in determining the available colours for tarmac driveways. For some time, red was the most common alternative to black tarmac, but nowadays you can choose from over 15 different colours, including blue, green, orange and even white! How much do coloured tarmac driveways cost? Coloured tarmac is more expensive than traditional black tarmac, and whilst red tarmac can typically be found throughout the UK, other colours are less commonly available in some areas. Find out exactly how much coloured tarmac costs in your area. Whilst installation is a job best left to knowledgeable professionals, tarmac painting is a great DIY project. Painting your tarmac not only helps preserve it’s lifespan, but it can also allow homeowners to add a personal touch to their drive. When choosing a tarmac paint, it is important to consider any waterproofing qualities the paint may have. Asphalt and tarmac are porous, allowing water to drain, but if you use a waterproof covering, drainage will be effected and puddles will most likely form. 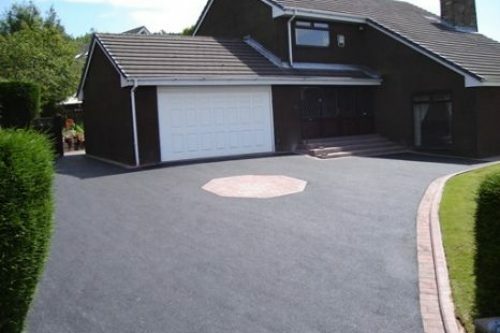 Throughout the UK, there is a common scam that involves homeowners being tricked into a “cheap tarmac driveway” installation. However, for most, the ongoing repairs can be costly and they do not receive the value for money install they are promised. The scam normally involves a salesperson knocking on your door to inform you that they can provide a cheap driveway due to left over tarmac from a nearby large job. However, there is no large nearby job. Enticed by the sales pitch and illusion that they are getting a cheap driveway, many homeowners agree to the work. Unfortunately, the work is generally carried out to a poor standard. The necessary preparation work is skipped, and homeowners are left with a driveway that will be prone to cracks, holes and damage. These driveways typically have a short lifespan and will be expensive to maintain and repair. In many cases, the cost is no cheaper than the prices of local and reputable driveway installers. We recommend you always compare local tarmac driveway prices to ensure you are receiving a fair and honest deal. Unfortunately, as tarmac and asphalt can be damaged over time. One of the most common causes of damage to tarmac driveways is leaking oil and petrol, which can dissolve the binding agent in the drive, resulting in holes. If you are interested in carrying out the repair yourself, the best method of repairing a damaged tarmac drive is to remove the affected area. Once you have cut around the damaged area (preferably in a square shape) and removed the contaminated surfacing, you will need to fill the hole back in with fresh surfacing material. Most hardware stores will sell bags of repair macadam, or similar, and you will also need some ‘Cold Pour jointing compound’. To ensure the longevity of your drive, we recommend regular driveway cleaning. As most damage to tarmac driveways occurs as a result of oil and petrol spills, cleaning will help prevent cracks and holes. As part of the cleaning, most professionals will also provide other maintenance services, such as painting and sealing of your drive. Driveway cleaning is very affordable, and will help bring your drive back to life. Find out exactly how much driveway cleaning costs using our price comparison tool above. We love helping UK consumers save more on their purchases. To ensure you receive the cheapest tarmac driveway installation deals, we have put together some helpful tips and tricks. One of the best ways to ensure you are receiving a great value for money tarmac driveway installation is by comparing prices. With our tarmac price estimator, it only takes a moment to fill in your requirements and work out the best deal for you. Promo codes for asphalt driveway installation, really? Yes, you may be surprised that many installers have promo codes and deals that can help you save on the cost of your fitting. We recommend you find local installer first, then check to see if they have any discount codes available. Getting a better deal on a tarmac driveway can be as easy as asking for a better price. This is an extremely easy, fast and simple money saving tip. And, it actually works more often than you might think. The home improvement industry is very competitive, and many suppliers and fitters will be willing to provide a further discount to secure your business. If you are an OAP, work in certain industries (armed forces, NHS, etc.) or hold another concession, you may be able to receive a discounted rate from your tarmac installer. Not every contractor will provide discounts, but quite a few smaller installers provide a discount to certain concession holders. Tarmac prices can become very cheap to install for larger projects. Whilst your own driveway may not be large enough to qualify for discounted rates, you can increase the size of the project by joining forces with your neighbours. If you and a few of your neighbours install tarmac drives at the same time, it will be seen collectively as a large job, and you will all benefit from cheaper pricing. Looking for Local Tarmac Driveways Installers? 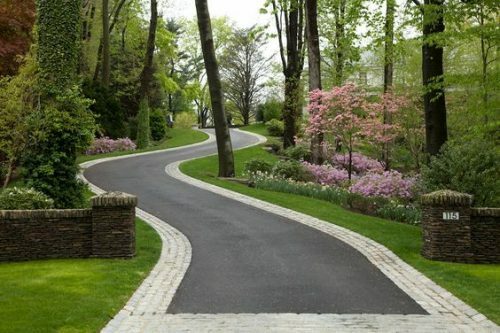 Your driveway is one of the first things you and visitors will likely see upon arriving at your home. As such, it is important to choose a driveway that suits your home and tastes. Below, we have put together a helpful gallery full of useful tarmac driveway ideas and inspiration. For more inspiration, we recommend having a look on services such as Pinterest additional and regularly updated driveway ideas. Below are a few questions our visitors regularly ask about interior bifolding doors. Our answers below will hopefully help you, but if we have missed anything, please get in touch. The main concern regarding new driveways is the effect a new or updated driveway will have on natural rainwater drainage. 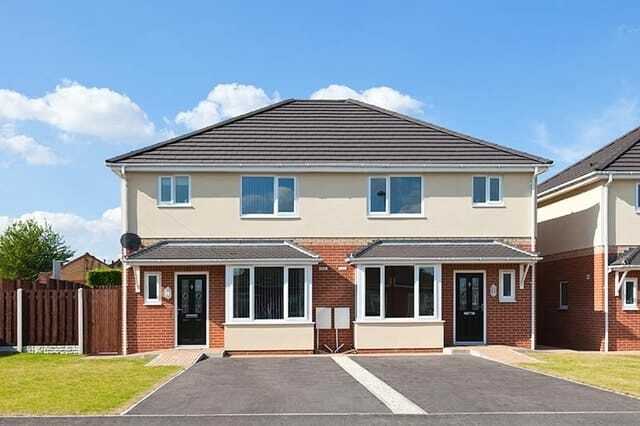 The official rules state that homes will not need planning permission if a new or replacement driveway of any size uses permeable surfacing which allows water to drain through, such as porous asphalt or tarmac. If you are dropping kerbs and providing access to your property across the footpath, you will need planning permission. This is important to protect any underlying wires or water pipes buried underneath. There are different rules for flats and converted houses. Also, certain homes, such as those in conservation areas, may require planning permission. If you have any doubts, check with your local council authority or on Planning Portal. Should I DIY a Tarmac Drive Install? Installing a tarmac driveway requires specialist tools, machinery and training. If the installation is not completed to a high standard, it can quickly crack and become dented, resulting in expensive repairs. As such, we recommend leaving tarmac driveway installations to the professionals. Will I need to move out whilst the work takes place? As the work will take place outside of your home, you shouldn’t need to vacate the property. Access to and from your house may be restricted whilst the tarmac is laid. Most average sized tarmac driveways should be completed within a day, but larger drives may take slightly longer. What qualifications should an installer have? The tarmacing industry is a field that sadly has a high number of rogue traders, who carry out poor quality work and undercut trained professionals. We recommend that you always use and experienced and accredited tarmac driveways installer. As well as having experience, most reputable installers will be part of a trade body or association, such as the Federation of Master Builders, Safe Contractor or Trading Standards. If your installer is taking away waste (such as excavated soil or your old driveway), they should have a waste carriers licence. What questions should I ask a potential tarmac driveways installer? Asking questions is a great way to better understand potential installers. Below are a few questions that you can ask installers to gain a better understanding of their experience and services. How long have you been installing tarmac driveways? Do you have any example photos of your previous work? Do you supply everything needed for the project? Will you take away any rubbish? Do you provide any discounts of concessions? Durable and extremely long lasting. A wide range of binding colours available. Different aggregate sizes provide differing finished results. Can be combined with other driveway techniques to create a durable and aesthetically pleasing drive. Tarmac typically performs better in colder weather conditions, compared to other driveway types. Tarmac driveways can become very hot on warm days. Not regarded as attractive as other driveway types. Petrol, diesel and oil spills decay the tarmac, and repairs are unsightly. If you are hiring a professional to install a driveway or tarmac paths, they should provide a warranty for their workmanship. In most cases, a warranty will last for between 12-months to 5 years. A warranty will provide peace of mind that if anything was to go wrong, the problem will be quickly fixed. It is a good idea to always ensure your chosen installer has public liability insurance. This is an insurance that will protect you and your property if something was to go wrong during the construction. You can request a copy of your builders PLI certificate, which they should be able to email or print for you. When you compare tarmac driveway prices, or request a quote, you help us raise £1.50 for an amazing charity. There is no cost to you, and there is no obligation to proceed. Find amazing deals and cost estimates, and help a charity at the same time.